I remember when I first started using Linux and I was used to the graphical interface of Windows, I truly hated the Linux terminal. Back then I was finding the commands hard to remember and proper use of each one of them. With time I realised the beauty, flexibility and usability of the Linux terminal and to be honest a day doesn’t pass without using. Today, I would like to share some useful tricks and tips for Linux new comers to ease their transition to Linux or simply help them learn something new (hopefully). 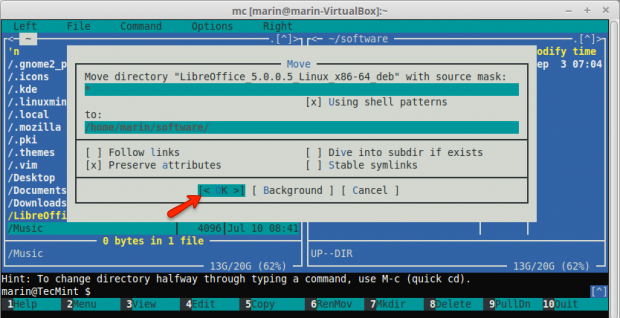 This article intends to show you some useful tricks how to use the Linux terminal like a pro with minimum amount of skills. 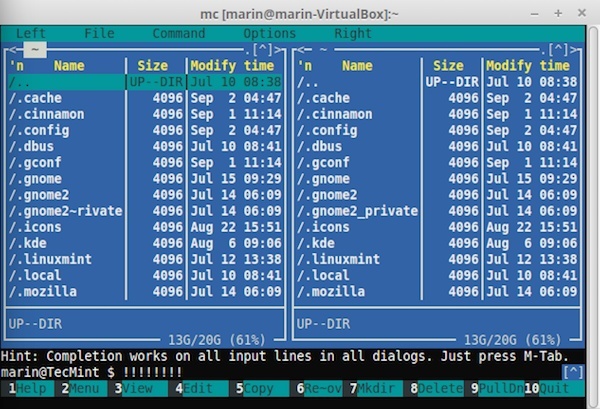 All you need is a Linux terminal and some free time to test these commands. On the left you can see the commands and on the right their description. Thanks to the F1 – F12 keys, you can easy perform different tasks. Simply check the legend at the bottom. To select a file or folder click the “Insert” button. Once confirmed, the file will be moved in the new destination directory. That way the system will shut down in 15 minutes. The above command will search from current directory for all files that are larger than 10 MB. Make sure not to run the command from the root directory of your Linux system as this may cause high I/O on your machine. One of the most frequently used combinations that I use find with is “exec” option, which basically allows you to run some actions on the results of the find command. The above command will search for all files in the specified directory recursively and will executed chmod command on the found files. I am sure you will find many more uses on this command in future, for now read 35 Examples of Linux ‘find’ Command and Usage. Where of course you will need to change the path and the file names with the exact ones to match your case. 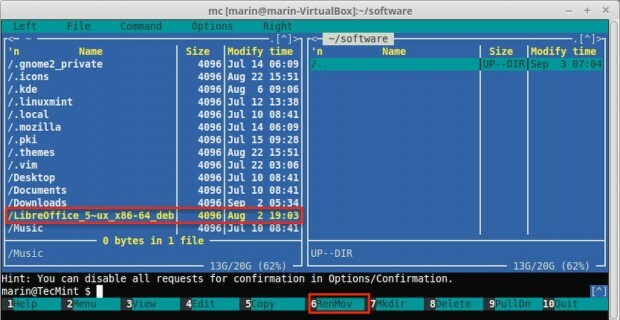 The above command will simply write an empty output to the file. In more simpler words it will empty the file without causing high I/O on your system. In the above example you will need to change “user” with the actual user with which you will be logging and “bash command” with the actual bash command you wish to execute. The method is better working when you are using passwordless authentication with SSH key to your machines as that way you will not need to enter the password for your user over and over again. Note that you may need to pass some additional parameters to the SSH command depending on your Linux boxes setup. The above examples are really simple ones and I hope they have helped you to find some of the beauty of Linux and how you can easily perform different operations that can take much more time on other operating systems.